Anthony Wilson is a guitarist and composer known for a nuanced body of work that moves fluidly across genres. Wilson has long been curious about blurring borders and finding the place where where style and possibility intersect. 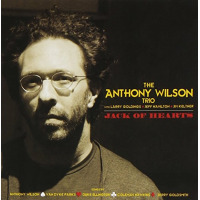 Wilson’s first recording— Anthony Wilson (1997) — featured a nine-piece “little big band” and garnered a Grammy nomination for Best Large Ensemble Jazz Recording. It was followed by Goat Hill Junket (1998), and Adult Themes (2000). 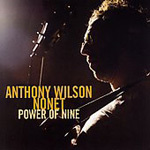 His fourth recording with the nonet, Power of Nine (2006) was included in the New Yorker’s roundup of that year’s top-ten jazz albums. Born in Los Angeles, Wilson is the son of the late jazz trumpeter and bandleader Gerald Wilson. That lineage has deeply informed his creative trajectory, compositional choices, instrumental groupings and the wide-ranging discography that blooms out of them. Wilson’s acclaimed collection of organ-trio albums — Our Gang (2001) and Savivity (2005), with Hammond organist Joe Bagg and drummer Mark Ferber, and later Jack of Hearts (2009), featuring Larry Goldings on organ, and alternating drummers Jim Keltner and Jeff Hamilton, reimagine and reframe post-bop, soul-inflected jazz. An inventive soloist and sensitive accompanist, Wilson has provided texture and authority both on stage and in recording sessions for jazz legends such as Ron Carter, Mose Allison, Bobby Hutcherson, Madeleine Peyroux, Bennie Wallace, Joe Sample, Al Jarreau, Harold Land, the Clayton-Hamilton Jazz Orchestra. Since the late 1980s he has been a member of his father’s jazz orchestra, assuming the leadership of the ensemble since the maestro’s passing in 2014. 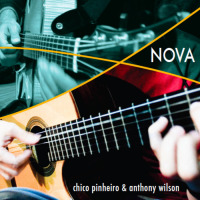 While his footing is firmly in the jazz idiom, Wilson pivots with ease into other genres. Over the last decade, he’s been part of sessions and performances with a diverse roster of artists, including Paul McCartney, Willie Nelson, Leon Russell, Aaron Neville, and Barbra Streisand. In 2009, he arranged and orchestrated Brazilian composer Ivan Lins’ “Love Dance” for Ms. Streisand’s grammy-nominated album, Love is the Answer. Since 2001, he has been a core component of Diana Krall’s quartet, after joining her for a series of concerts in Paris at the Olympia Theater which became the Grammy-winning recording and concert film Live in Paris (2002). A gifted composer as well, Wilson, while still in his 20s, won the Thelonious Monk Institute International Composers’ Competition in 1995. 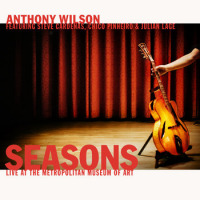 Since then he has received commissions from IAJE, the Henry Mancini Institute, Jazz at Lincoln Center, the Los Angeles Philharmonic Association and the luthier John Monteleone — for whom Wilson composed “Seasons,” a song cycle for a quartet of Monteleone’s handcrafted instruments called “The Four Seasons.” The premiere performance of the piece, at the Metropolitan Museum of Art, coincided with the Met’s exhibition “Guitar Heroes” in 2011. 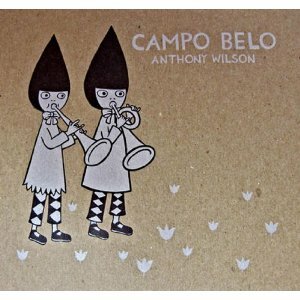 That same year Wilson released Campo Belo, a collection of original songs recorded in São Paulo, which partnered him with three of Brazil’s up-and-coming musicians, pianist André Mehmari, drummer Edu Riberio and bassist Guto Wirtti. 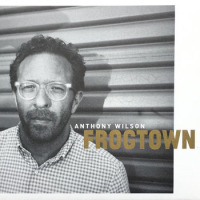 The new album Frogtown (2016) is Wilson’s widest-ranging work to date, and his debut as a singer. Wilson enlisted Grammy-winning producer/bassist Mike Elizondo, a longtime friend and musical colleague, to help him realize this collection of layered and personal sonic stories. Traveling into, through, and beyond genres, the album's melodies and lyrics guide the listener through tender and complex emotional landscapes. Featuring a cast of renowned musicians — drummers Jim Keltner and Matt Chamberlain, violinist Petra Haden, and keyboardists Patrick Warren and Josh Nelson — each song on “Frogtown” evokes a distinct feeling and landscape, and takes the listener someplace new. All About Jazz musician pages are maintained by musicians, publicists and trusted members like you. Interested? Tell us why you would like to improve the Anthony Wilson musician page.